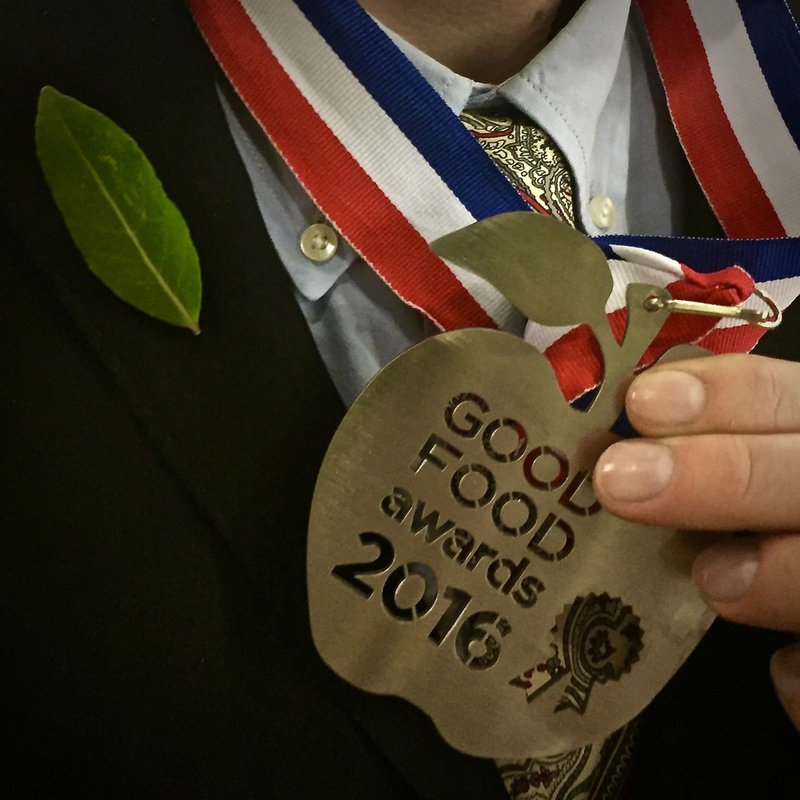 The Good Food Awards — Ela Cider Co.
A few weeks ago I had the opportunity to meet Alice Waters. Alice Waters is the most important figure in my life as an eater. My college dormitory kitchen had been the target of her slow food crusaderism a few years before I arrived, so my scholastic years were filled with local salad greens and responsibly-sourced chicken. My post-college bachelor years were only saved from starvation by The Art of Simple Food, which sets next to the I Ching in a prominent spot on my bookshelf. She makes cooking spiritual. Alice was a celebrity presenter for the 2016 Good Food Awards. The Ela Cider Company won this award for Stone Silo, our first-ever batch of cider. 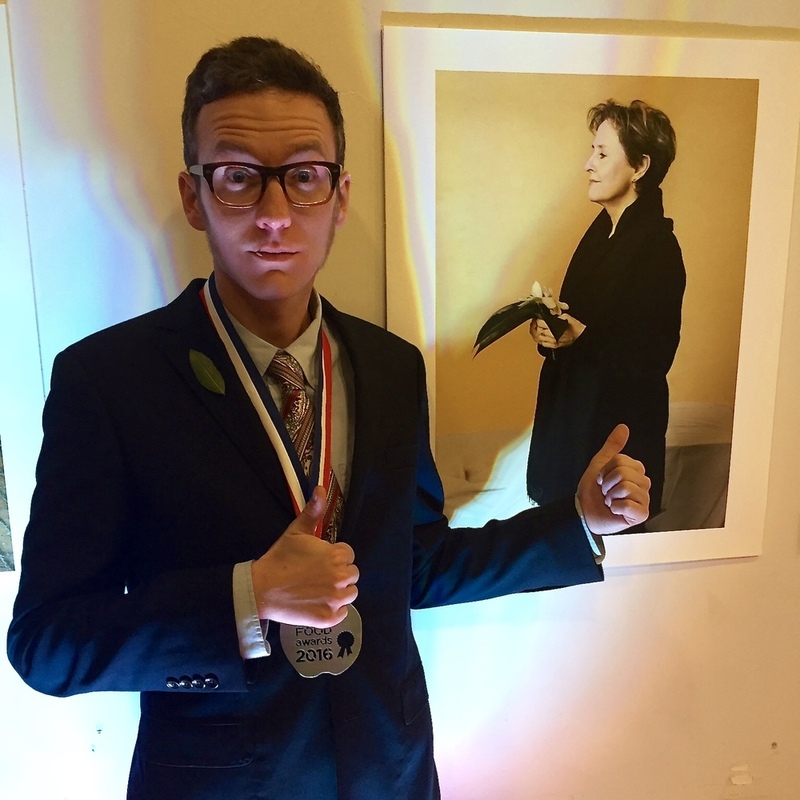 And, with the off chance of meeting Alice Waters, I muscled my way in to representing our company at the awards show. The Good Food Awards celebrate the best in American food manufacturing, people who care about where their ingredients come from, who treat their process as an art form, who make unreasonably small batches, and who are either independently wealthy or committed to a lifetime of poverty, because there sure isn’t any money in it. I had a certain vision of how the evening of the Awards show would go. Alice would shake my hand on stage, I’d use the five seconds with her to say something funny and memorable, and she’d laugh and invite me back Chez Panisse and teach me how to properly braise a pork loin over a bottle of wine. The big night arrived and we marched into an abandoned army warehouse on a dock on San Francisco Bay, which was filled with rather more people than I expected, and I was pinned with a bay leaf signifying the winners, the classical significance of which I barely had time to appreciate before I was told I was late and would have to skip the cider aperitif in order to make it to my seat in the front row. The lights dimmed, people were introduced, ditties were sung, Carlo Petrini gave a communist-infused food rant in beautiful operatic Italian, and finally the winners were ushered to stage left, in order to march across and accept our medals. All my brainstormed witty one-liners for Alice seemed dull when surrounded by so many other worthy food makers, so I abandoned ship, trudged onstage and shook Carlo’s hand, I shook Alice’s hand, Nelle Newman put a medal around my neck, and I stood facing the spotlights as some things were said about us, stewing on my missed chance to braise pork loins with Alice Waters. Afterwards, the award-winning products were served to everyone in attendance. I scanned the crowd for Alice, but she had likely gone back to her villa to avoid mingling with the plebians. Meanwhile, we plebians dined like emperors, nibbling on cured meats and fermented beans and exotic jams, reveling in the delicious world that Alice helped build for us. Follow the inner workings of the Ela Cider Co. with updates and stories directly from the folks who make the cider.